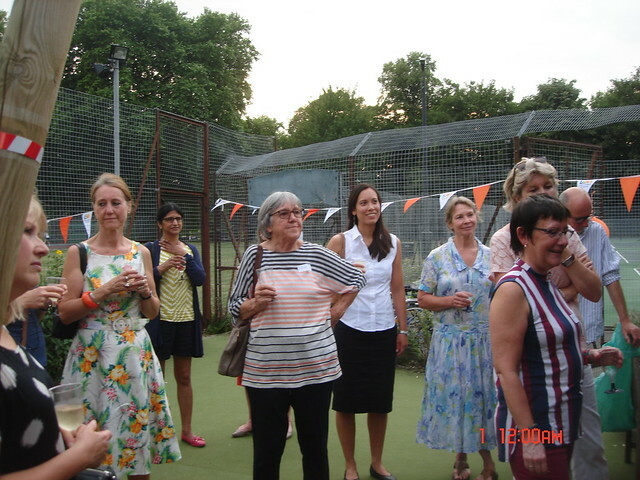 On Thursday 6th July we invited our tutors to a party at the Canbury Pavilion to say thank you for all their work over the past academic year and to celebrate our anniversary. Founded in 1982, this year sees LEAH celebrate its 35th birthday. Some guests even came in fancy dress including our director Kate who wore an original 80's jumpsuit handed down from her mum. The food also had an 80's theme including vol au vents, quiche and a cheese and pineapple hedgehog. On such a baking hot evening we were fortunate indeed to be outside in the garden, enjoying such wonderful company.